Packaways is a brand new Storage Box that ships and stores in the flat position. When needed, simply press on opposing corners and the bottom "automatically" folds into place and locks. 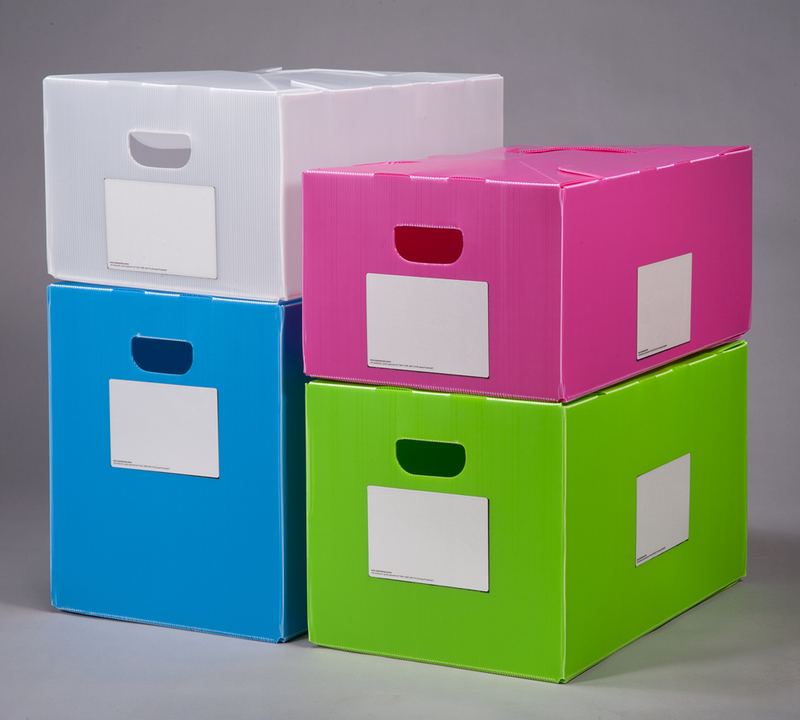 When not in use, simply press on the bottom and the box folds back down flat for easy, out of the way storage. Ideal for homes, apartments or living quarters where use is intermittent and space is tight. Many applications: Moving; Back To School; Organizing The Kids' Rooms; Basement or Garage; Seasonal Items, etc. You can color code your things or have the colors match your decor. Proudly made in the U.S.A. from durable corrugated plastic. 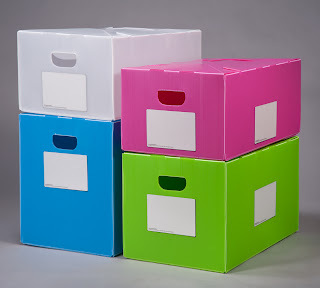 Great for harsh storage conditions or long-term storage since moisture and humidity won't effect the integrity of the boxes. Will last hundreds of cycles under normal circumstances. Many, many useful applications. Comes with 2 Wipe Away Panels that allow you to conveniently identify the contents of the box. If you use China Dry Erase Markers, you can simply Wipe Away the previous contents and remark the box. Please go to www.packaways.com for more information. Or visit Packaways on Facebook. It just so happens that I need to move stuff out of my kitchen, and these boxes came in handy! They are super easy to put together, and the best part is, they fold right back up again. Now, I admit, I was sent another set for review, and when I finished unpacking my stuff again, all four Packaways fit in one box! That's how small they fold back up. They take up next-to-no space at all. The have handles on the sides, for easy carrying. Like a beer box really. And you can label them with chalkboard markers. I didn't bother with that though, I remembered by color what was in what. These things are handy for so many things. You don't need to be moving to need a box or something to store stuff in. Voila, a colored box ready to use. Every time! Definitely one of my new favorite things! Hey, just wanted to drop in and say how much I appreciate you taking the time to post this excellent info! Thank you!